Lena Pillars. Natural Rock In Eastern Siberia. Description: Lena Pillars. 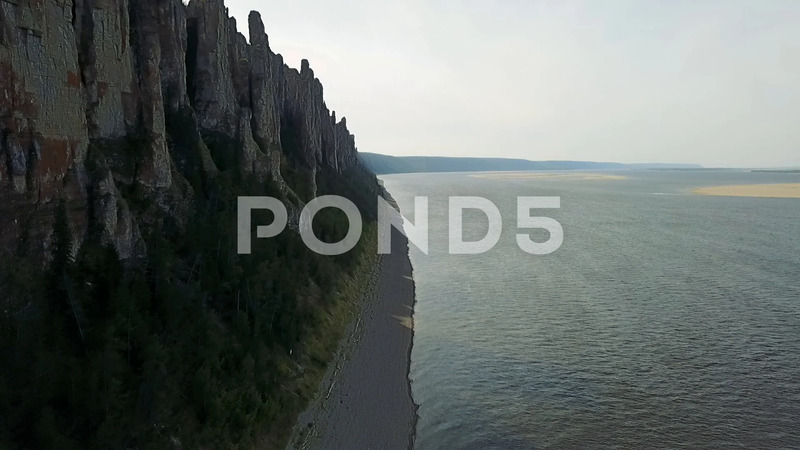 Natural rock formation along the banks of the Lena River in far eastern Siberia. The pillars are 150–300 metres high, and were formed in some of the Cambrian period sea-basins. Dron footage.